Join the Utah Cattlemen's Association and become a member today! Membership is an investment in your future. 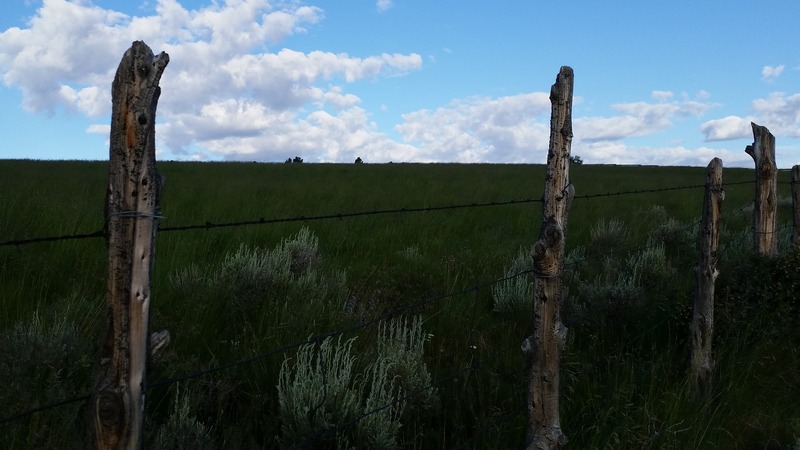 The UCA represents ranchers throughout the state of Utah. Each of us involved in raising cattle should invest in and support the organization that looks out for the business climate of cattle production. Your membership dollars are used in the legislative arena to protect your interests as a cattle producer. Your input matters to the Utah Cattlemen's Association. Make your voice heard by becoming a member. You may not have the time to be heavily involved in the association, but your membership dollars are critical in helping to influence policy that will make a difference for your operation. The Utah Cattlemen's Association would like to speak for the entire cattle industry in Utah. Please strengthen that industry by joining us. Get discounts from retailers like IFA and Steve Regan. Get discounted registration at cattle industry events and conventions. 50% off all advertising in UCA's newsletter. Learn practices and techniques that are good for your bottom line. Membership is your investment in the cattle industry's viability. UCA monitors the issues that affect the industry, so you can focus on your operation. Whether you have 5 cows or 5,000, you can rest well knowing that UCA will represent you. Have confidence in the association knowing that it is run by beef producers. UCA represents ranchers in the governmental process by working to encourage cattle friendly legislation and fighting actions that can harm the cattle industry. From the Endangered Species Act, to fighting for private property rights, UCA is representing cattlemen's interests at the table of management and legislation. UCA plays an important role in nominating ranchers and those friendly to our industry to advisory councils and boards in our state. UCA works with these individuals as they go through the critical decision-making process. This is where the greatest impact in protecting the interests of the cattle business are made and only membership dollars can be used for legislation and policy making. Improve you knowledge by learning industry best practices. UCA provides many opportunities to learn ways to improve management skills. Beef Cattle Field Day focuses on current industry issues and management techniques. Cattlemen's College is an education program designed for the less-experienced rancher. Emphasis is placed on education and topics relevant to those with less experience in ranching. The Utah Cattleman newsletter keeps ranchers up to date on current issues and beef industry information and activities. Getting involved with the association allows you the opportunity to get to know and communicate with ranchers similar to you. Association meetings and activities allow ranchers to interact with other ranchers. Many friendships and business relationships have formed after meeting at association meetings and conventions. Association sales and events such as the Utah Cattlemen's Classic Bull Sale provide opportunities to showcase and market breeding programs. Attending cattlemen's conventions allow ranchers to take part in the policy-making process. Additionally, the convention trade show provides opportunities to connect with beef industry businesses. "UCA monitors all the issues affecting the cattle industry, whether they deal with the environment, public lands, private lands, water rights, animal health, or new rules and regulations. With help from the UCA and our membership, we have a positive outlook for the next generation. UCA needs our membership to keep moving forward." "We can all strengthen our industry by joining together. I am a member because the UCA is an organization that seeks to influence policies and law at the state and federal level."